PANJIM: After coming to the rescue of the traditional beach shack operators this tourist season, the State government has provided some relief to owners of shacks in private property assuring Coastal Regulation Zone (CRZ) clearance for up to five years. Goa Coastal Zone Management Authority (GCZMA) has also been instructed to expedite inspection and issue of permission to these seasonal structures. 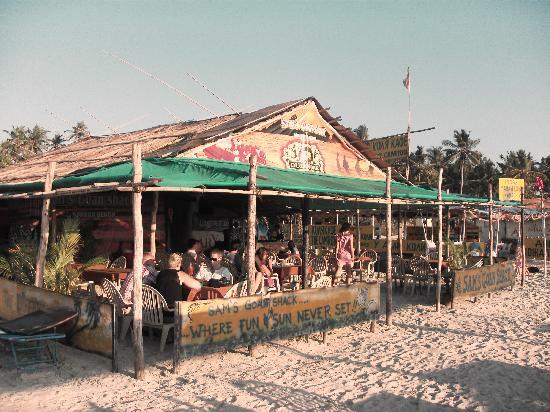 Private beach shacks operators have hailed the decision asserting it will help begin their business on time. “Until now, private property shack owners had CRZ clearance valid for one year. It was taxing because we had to submit all the related documents for renewal every year. The government has heeded to one of our demands assuring validity of CRZ permissions for five years though it will go through an annual renewal process. The renewal will not demand documents every year,” President of All Goa Private Property Shack/Huts Owners’ Association, Dharmesh Saglani, told Herald. The decision comes following a meeting between Chief Minister Manohar Parrikar, Tourism Minister Manohar (Babu) Azgaonkar, WRD Minister Vinod Palyekar and the shack association representatives on Wednesday. The association also appreciated the Union Ministry for Environment and Forests for the draft amendment to the CRZ notification 2011 that allowed shacks to remain standing during the monsoons. “Allowing us to retain the structures will save time, environment. It will also save 30 percent of the cost and add up to the profit. The amendment will also help us make bookings and carry out business without any delay,” he asserted.